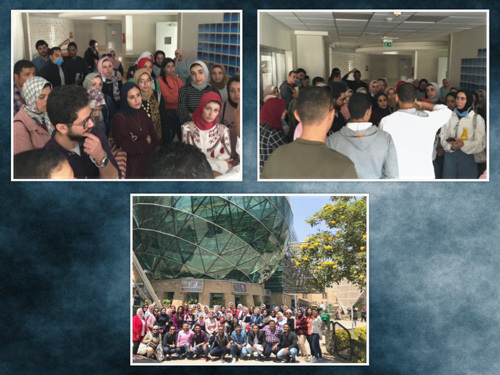 Under the auspices of Prof. Maged El Ghazouly, the Dean of the faculty of Pharmacy and Drug Manufacturing, the fifth-year students went on a visit to the Children’s Cancer Hospital 57357 on Thursday 11/4/2019. The faculty of Pharmacy and Drug Manufacturing goes on this trip for the third year in a row, continuing the fruitful cooperation between PUA and the clinical pharmacy team at 57357 Hospital. This trip provided the students with an opportunity to acquire clinical practical skills and to be cognizant of the practical side of the work of clinical pharmacists. 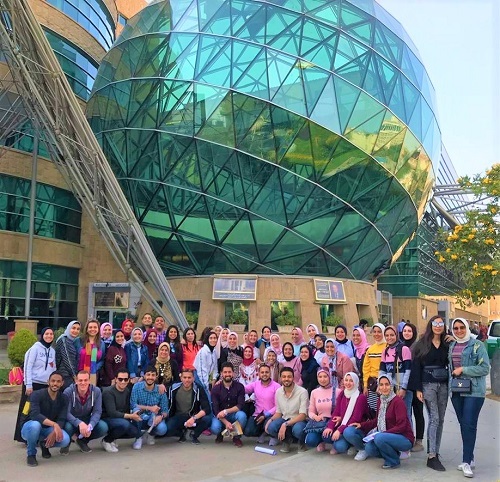 This trip was supervised by Dr. Noha Alaa, a professor in Clinical Pharmacy, Prof. Ghihan El-Batouti, an Associate Professor in the Microbiology Department, Dr. Amany Ramdan, an Assistant Lecturer in Clinical Pharmacy and Ms. Heba Hesham and Mr. Kareem Khairy, demonstrators of Microbiology.